Castor oil - a substance which is obtained by hot pressing of the castor seed ordinary. Use it in cosmetics, perfumes and medical industry. Castor oil is extremely useful for eyelashes. It can be used as a separate tool, as well as in combination with other components. 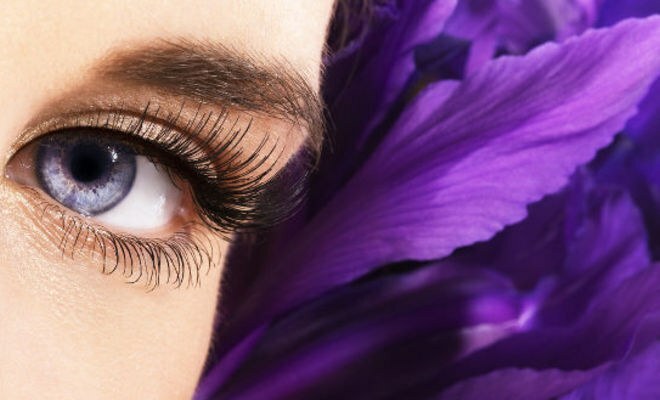 Gently apply castor oil on the contour of the growth of the eyelashes with a soft brush. This procedure is recommended to be used 3-4 times a week. Castor oil perfectly strengthens and nourishes the eyelashes, s, stimulating their growth. Be careful: in case of contact with eyes be sure to rinse them with cool water. For the growth of eyelashes use castor oil in combination with carrot juice. Mix them in equal proportions. It is known that carrots are high in vitamin a, which positively affects the growth of eyelashes. Against the loss of eyelashes mix 1 part almond 1 part peach to 1 part castor oil. If you are afraid of irritation or your eyes are very sensitive, the means apply only on the tips. Oil will still impregnated cilia entirely, spread evenly throughout the entire length. A mixture of burdock and castor oil used for removal of decorative cosmetics from eyes and power of eyelashes. Thus, a double benefit from the treatment - cleansing and care. Thoroughly mix the components in equal proportions, adding a little aloe juice. Received balm gently apply to eyelashes with a brush. Repeat this procedure 1-2 times a week for a month. After 2-3 months the course can be repeated. To soften and nourish your lashes perfect product based on vegetable (sunflower or olive) oil. Castor and vegetable oil take equal proportions and heat. Received cooled tool apply 1-2 times a week on pre-cleaned eyelashes. As an optional component may also use sea buckthorn or fir oil. With the help of castor oil you can also prepare a healing elixir for the skin of the eyelids and eyelashes. To do this, mix 1 part of calendula extract (oil), 1 part chamomile extract (oil), 1 part of castor oil. The resulting tool gently apply on pre-cleansed skin of eyelids and eyelashess, avoiding contact with eyes. This elixir has a positive effect on hair structure, improves intracellular metabolism of tissue, relieves tension and muscle fatigue, has anti-allergic and anti-inflammatory effect.